Liquid kratom promises to be one of the easiest and most innovative ways to enjoy the popular herbal remedy. Many users love the effects of kratom but are turned off by what’s involved in consuming it. 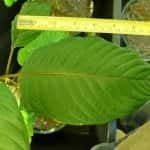 Measuring doses, finding the time and space to make preparations, and navigating the intense taste are a few of the challenges all kratom fans must deal with. These considerations only get more complex when a user wants to enjoy the added strength of an extract and its highly concentrated large dose. 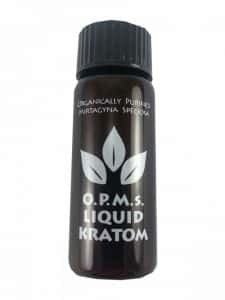 Now, liquid formulations provide a great alternative for everyone who wants to enjoy Kratom’s famous physical and mental benefits. What are the things you should keep in mind if you decide to buy a liquid tincture of the Mitragyna Speciosa plant? Kratom liquid products are basically an extract form of its active ingredients. An extract is any reduction of essential components – we often see them in cooking and medicine. The process allows for more potent or intense concentrations, which are easier to use and often more economical. To create a kratom liquid or tincture, a large amount of the raw leaves of the Mitragyna Speciosa plant are dissolved in a mixture of ethanol alcohol and water. Most of kratom’s bioactive plant alkaloids are alcohol-soluble, meaning that they can be extracted intact without damage via this procedure. Furthermore, alkaloids that are only water-soluble will also be extracted. When extra steps are taken to protect these compounds, the extract is known as “full spectrum,” meaning it represents the full range of the plant’s components, not just the alkaloids in highest concentrations. This is a critical consideration for any extract, in order to preserve the full efficacy and range of benefits found in the parent leaves. The individual effects of any liquid extract will depend on the strain of the source leaves, and the concentration rating for the product. For example, a concentration of 8x would indicate that as many as 8 times the number of leaves were used to generate the weight of the final product. 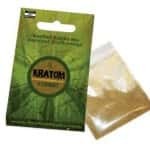 Most kratom products are known to bring a host of mental effects, including emotions like euphoria, feelings of stress and anxiety relief, and joy. Physically, users often report feeling relief from chronic pain, relaxed muscles, and pleasant sensations related to touch. The unseen effects include lowered blood pressure, boosted immunity, and anti-oxidant protection against free radical cell damage. Keep in mind that kratom liquid is a highly-concentrated extract product. As such, you can expect effects to be far more intense than regular leaf powder. Some users report that extracts can create sharper, more intense effects that don’t last as long. There is less of a subtle “rise and fall.” For this reason, dosage is especially important. Liquid extracts are stored and sold in glass bottles. Though sizes vary across manufactures, the bottle size is typically around 15ml. Product is consumed via a dropper. Droppers are not known as the most precise measuring devices, as exerting slightly different amounts of pressure when squeezing in a dose can generate different amounts of liquid. 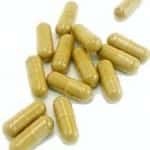 For this reason, as with all herbal remedies, everyone should begin new therapies with more conservative doses and gradually work their way up to the optimum dose. 1 Dropper – Threshold dose. Good light dose for most people. More of an energizing effect. 2 Droppers – Strong dose for most people. More relaxing and sedative. What’s the best way to take your dose? Fill the dropper up and then place the tip under the tongue. Squeeze out the contents, attempting to hold the liquid under the tongue without swallowing for as long as possible. This will increase the speed of absorption into the blood. 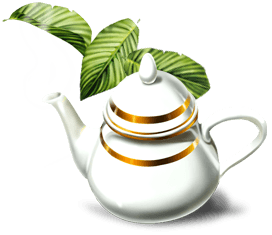 Can you add liquid Kratom dosages to normal beverages? Yes you can, and efficacy will not be diminished. It is fairly popular to drink it with orange juice or even to make Kratom tea. However, many people find that the very intense taste of most liquid extracts is best taken as a swift shot and not prolonged over the course of drinking an entire beverage. There are also some pre-made Kratom shots and drinks available today, though these tend to be more expensive than buying the tincture yourself. Some people used to prices for traditional powders might at first find liquid tincture prices to appear higher than normal. But once you factor in a dose to dose comparison, the price of kratom in liquid form is nearly identical to that of powders. So, it really comes down to a matter of preference – what format will work best for your lifestyle? One added convenience with liquid extracts is that they often are offered as part of bulk pricing deals. This Kratom Tincture can be purchased three bottles at a time for a nearly 35 percent savings. This translates into a fantastic per-dose price. Overall, buying liquid kratom is a viable and affordable method of consuming the herbal medicinal for most people. 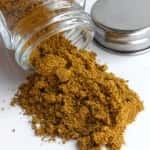 While you may not wish to use extract strength products every time you use kratom, it’s definitely worthwhile to keep a bottle in your personal stock for days when you don’t have time to prepare a traditional powder, or wish to give your mind and body the boost that only an extract can provide.